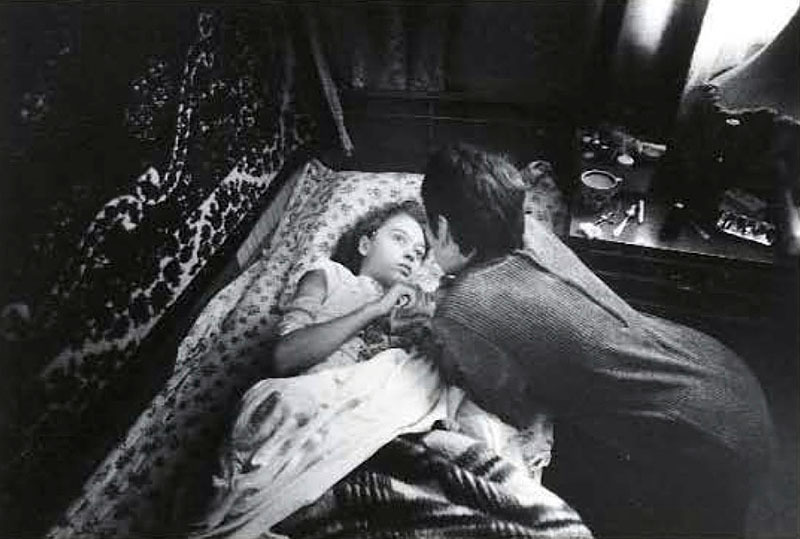 “When I started covering the accident in Chernobyl, I thought about how much radioactivity was uncontrollable. I believed that human wisdom can not overcome all the tragedies. But now I realized how such an idea devoid of any sense. We have the ability to create different “future”. From now on, only depends on us whether we have the time to make a different choice or not. We have no more excuses. Just hesitation himself is become sin. We must put an end to the implanted opinion that people in Fukushima accident is never happened – just so that we would make new nuclear power plants. 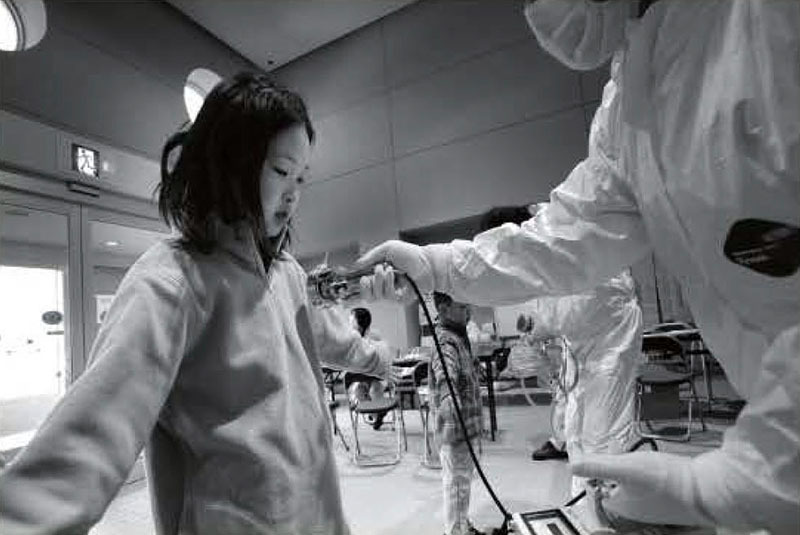 We should not allow children to return to the towns infected by radiation, just because we have exported nuclear power abroad. We have to completely change direction in order to protect human beings. 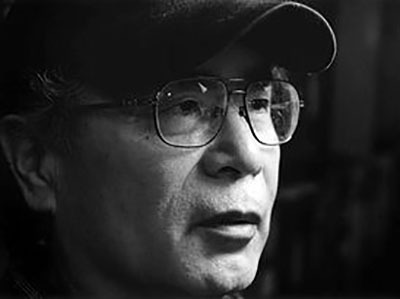 Ryuichi Hirokawa (1943 - ) is a Japanese photojournalist, war photographer, civil activists. Chief editor of the monthly magazine photo DAYS Japan. He is a member of the Japanese Association for the Study of the Middle East, the Association of Japanese photographer, Photographic Association of Japan, Japan Visual Journalist Association (JVJA), etc. The founder of the home for abandoned children in Palestine and the Fund for assistance to children in Chernobyl. 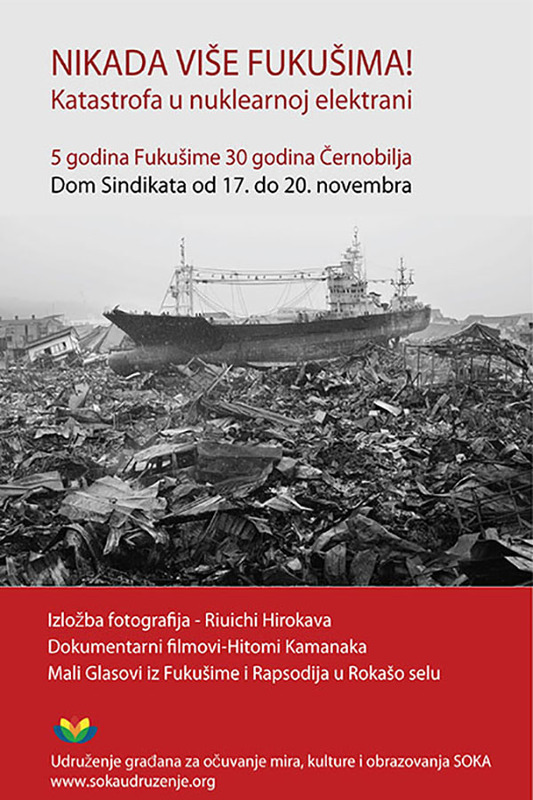 He has received numerous awards from the Japanese photographic associations, journalists’ associations, the Ukrainian government for special Merit, etc. “Many people expect that nuclear energy becomes a dominant source of energy in the future. However, as a number of accidents that occur around the world confirm, nuclear energy generates a series of innumerable dangers. The accident at Three Island Miles in the United States launched a number of reactions in the world. Shortly after, radioactive spills leads to official confirmation that similar events have already occurred in Japan in the past. All such incidents are, indeed, the results of human error. But in man’s nature to sin and the ability to repeat the same mistakes in the future are enormous. Dialogue with Dr. Aurelia Peca, founder and first president of the Club of Rome, “Before it’s too late” October in 1984. “Until we overcome certain quantitative border, wastes non-nuclear energy sources are not fatal, regardless of their safety. On the other hand, the smallest amount of nuclear waste is potentially fatal. For this reason the development and application of nuclear energy, no matter how much goes to peaceful purposes, should be subjected to the most minute analysis. Restoring the use of nuclear waste can be allowed only in the event of an absolutely safe and bullet-proof method of governing the same. Until then, however, I feel it would be better to stop the application of nuclear waste and stimulate modern science to expand research on energy sources that do not produce toxic waste and can be recycled, so there is no danger of their release. “Dialogue with Rene Juigom. “Dawn after dark” in 1980. On March 11, 2011, massive earthquakes hit the Tohoku area in northeastern Japan and caused the catastrophic meltdowns at the Fukushima Daiichi nuclear power. 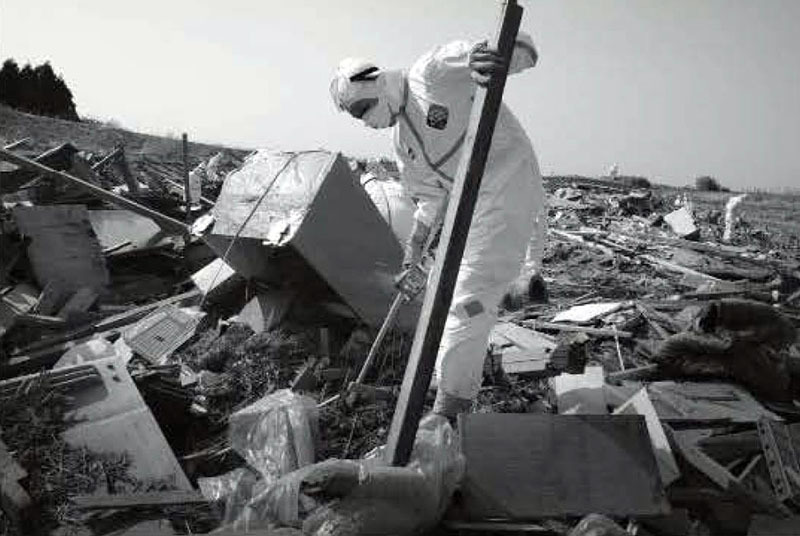 However, large numbers of families including children are still living in contaminated areas. The reasons they have not left are various: lack of the financial resources necessary to relocate, for example. Or, they may be the victims of government failure to provide appropriate instruction about the need for evacuation. In Rokas countryside is the base for processing nuclear fuel. In its center there is power in which is processed spent nuclear fuel. This is the latest factory for the production of plutonium. If this project continue to operate, Japan will enter into a new era of nuclear energy. How are we supposed to look at this? We are at a crossroads and we are forced to make a choice. She is a Japanese documentary filmmaker and media activist who has been working on nuclear power and radiation issues for two decades. Studied at the National Film Board of Canada and then worked as a media activist at Paper Tiger in New York. 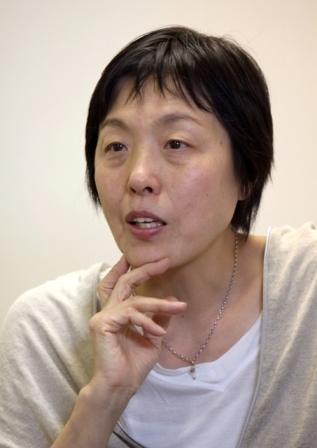 After returning to Japan, she directed many documentaries for TV. Her fourth film, HIBAKUSHA – At the End of the World, was released in the US. A frequent guest speaker at events throughout Japan, especially after Fukushima, she has traveled widely to present her major work, Ashes to Honey —Toward a Sustainable Future.